I’m just about three weeks from attending my favorite conference of the year: Fitbloggin! Not only do I get to visit beautiful Savannah, Georgia for the first time, but I also get to see some of my FAVORITE people along the way. So excited!!! 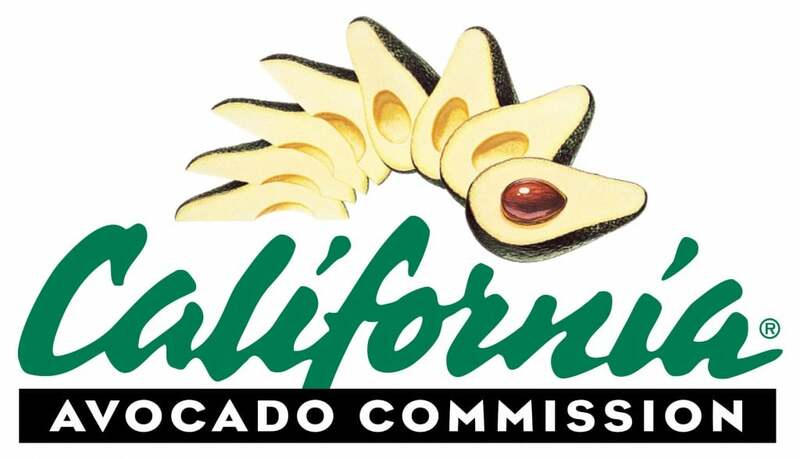 I was particularly excited to hear that one of our sponsors is… the California Avocado Commission! Not only will I get to hear all sorts of new information about the health benefits of avocados, but I have a feeling that (fingers crossed!) we’ll be eating some amazing avocado while we are there too! YESSSSS!!! And, if that weren’t enough, they’re also hosting an amazing “California Avocado Cutting-Edge Culinary Recipe Contest” for all of the attendees. 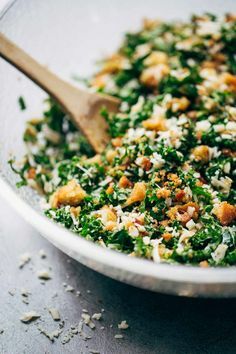 To participate, we had to create a unique recipe using this green goodness. 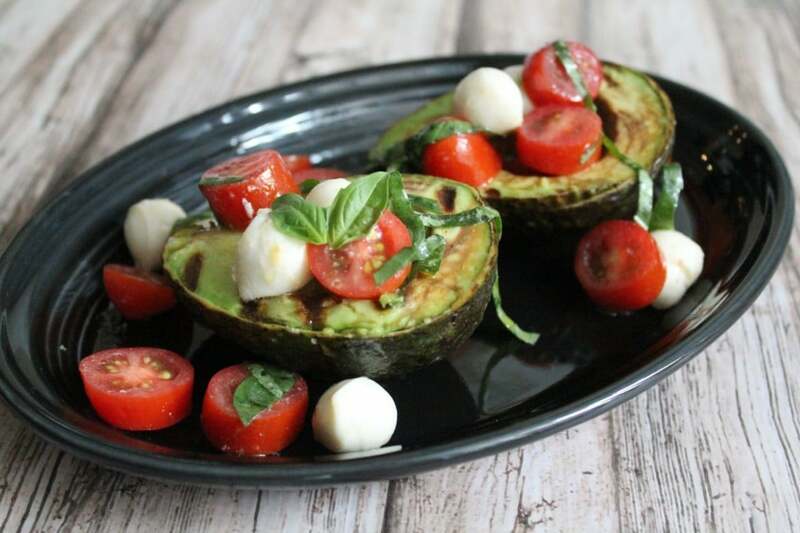 If you’ve read my blog, you know that this wasn’t a stretch for me… I’m a little bit of an avocado fanatic! To come up with just the right recipe to enter, I got to experiment quite a bit with one of my favorite ingredients. In the end this is the recipe I loved the most of those I tried… I hope you guys like it as much as I do!!! This is the very first time I’ve ever grilled an avocado, and it certainly won’t be the last. 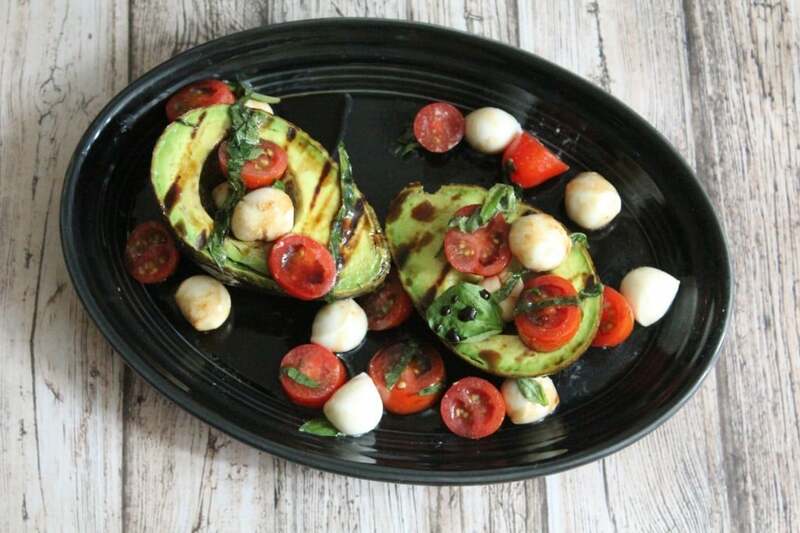 Being that summer is just around the corner and we’re all firing up our grills more frequently here in Colorado, why not add an avocado to your fire?? 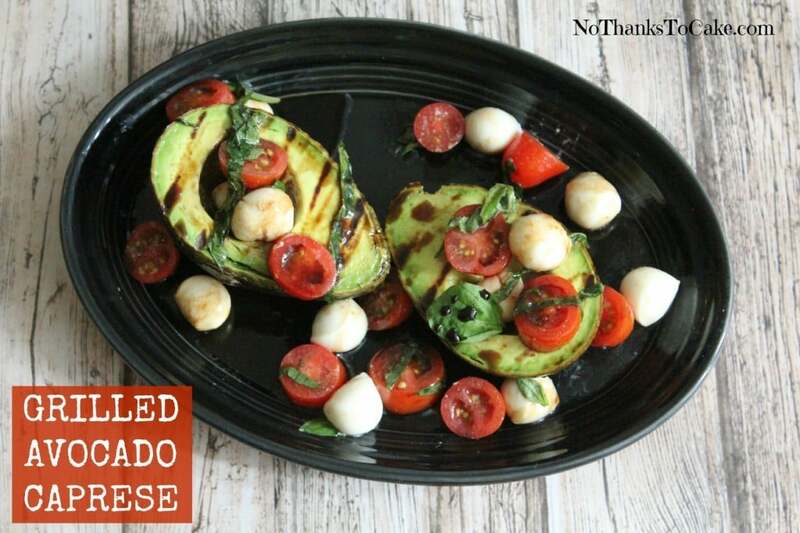 Not only does grilling add a beautiful color to the dish and those gorgeous grill marks, but it also contributes a smoky rich flavor to the avocado that is INCREDIBLE. 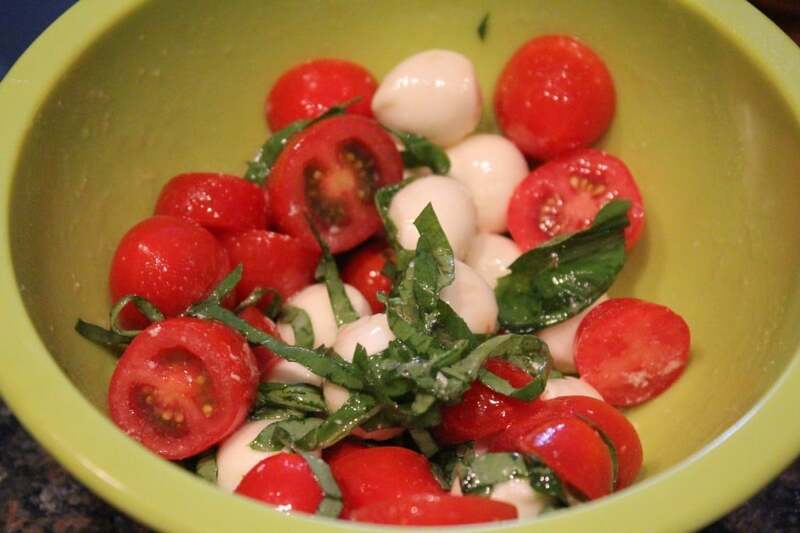 Paired with traditional italian flavors like tomatoes, basil, and fresh mozzarella, this dish was the clear winner in my house. 1. Preheat your grill pan to medium high heat. 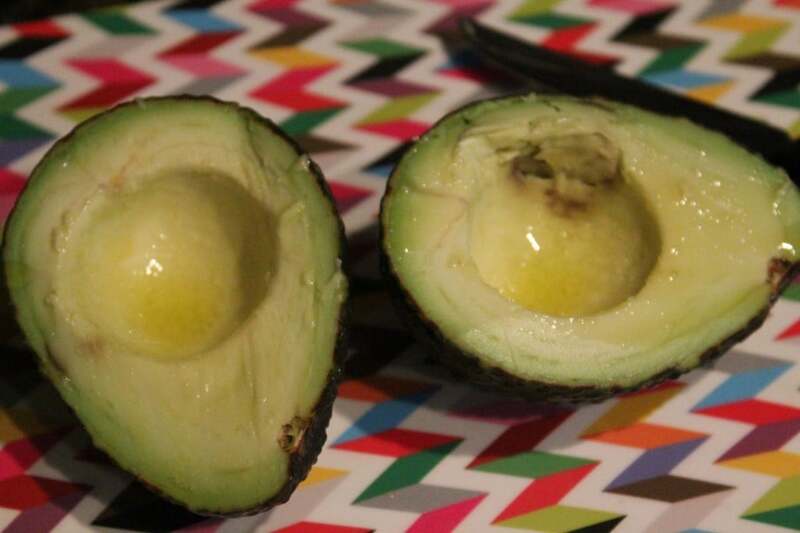 While the pan warms, cut your avocado in half. 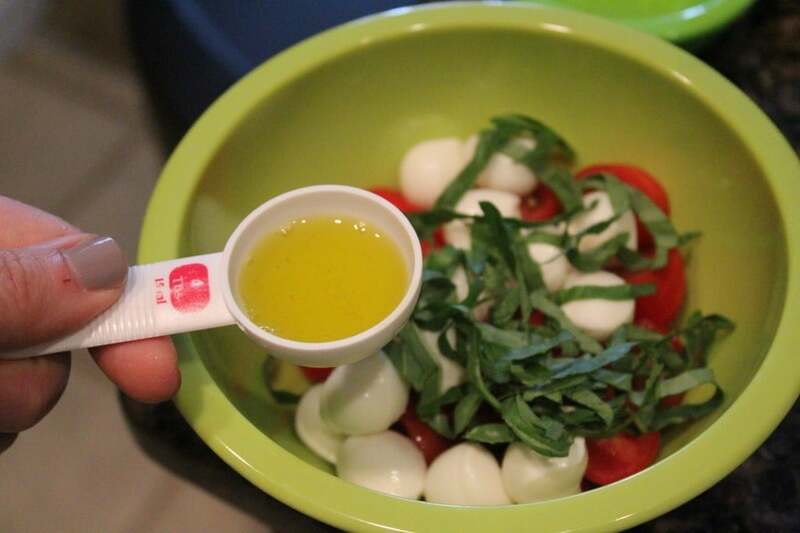 Pour a small amount of olive oil into a small bowl. 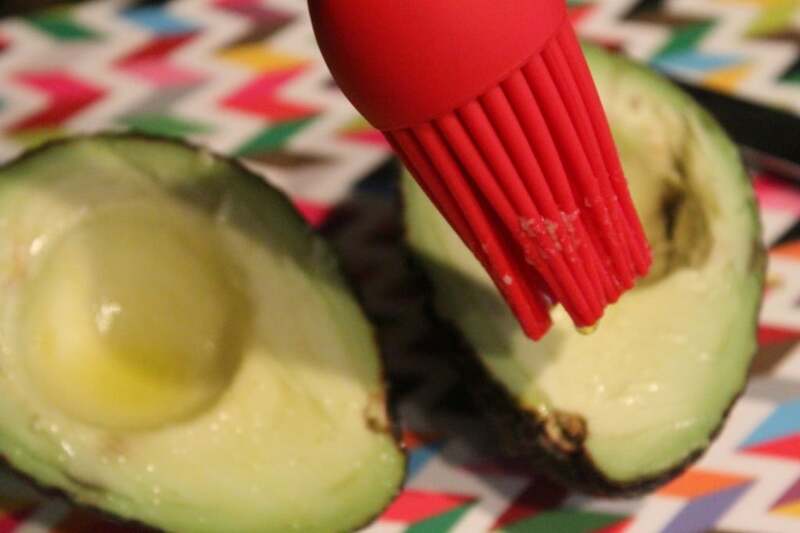 Lightly brush the exposed avocado with EVOO. Note: For extra flavor, you can also use a basil infused olive oil. Also, I used my indoor grill so I could control the temperature, but you can also use your outdoor grill! 2. 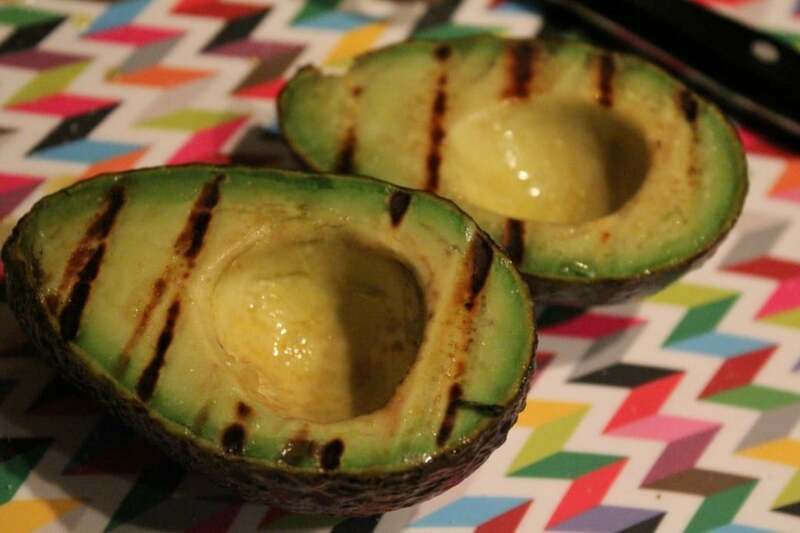 Place the avocados face down on the grill pan for 1-2 minutes until beautiful grill marks appear. Remove to a plate to cool. Note: Depending upon the heat of your pan, the cooking time may vary. 3. 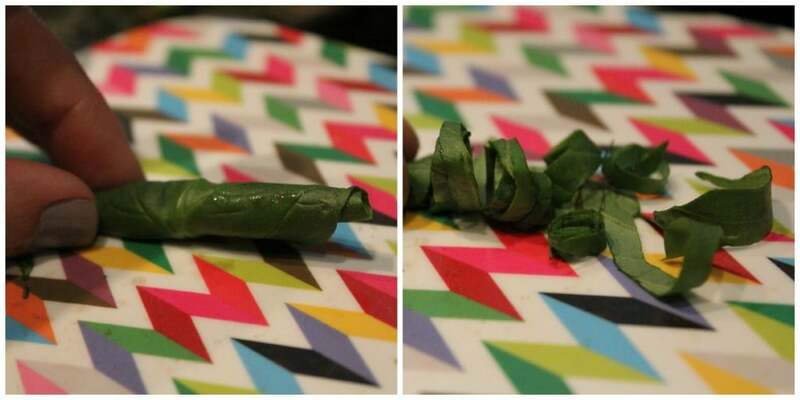 To slice your basil, take a small stack of fresh leaves and roll lengthwise, creating a long tube. Then, slice into ribbons. 4. Place tomatoes, cheese, basil ribbons, and about 3/4 Tbsp. EVOO in a small bowl. Mix to combine and add salt to taste. 5. 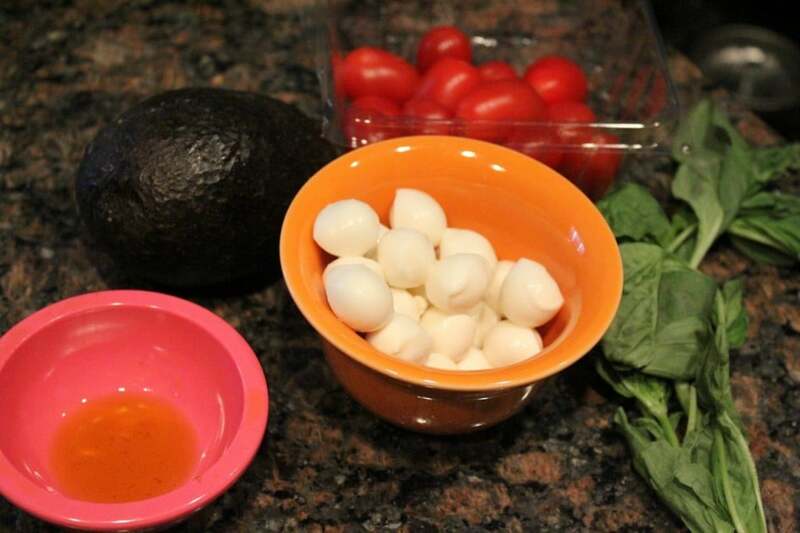 Pour tomato mixture over avocado halves. 6. 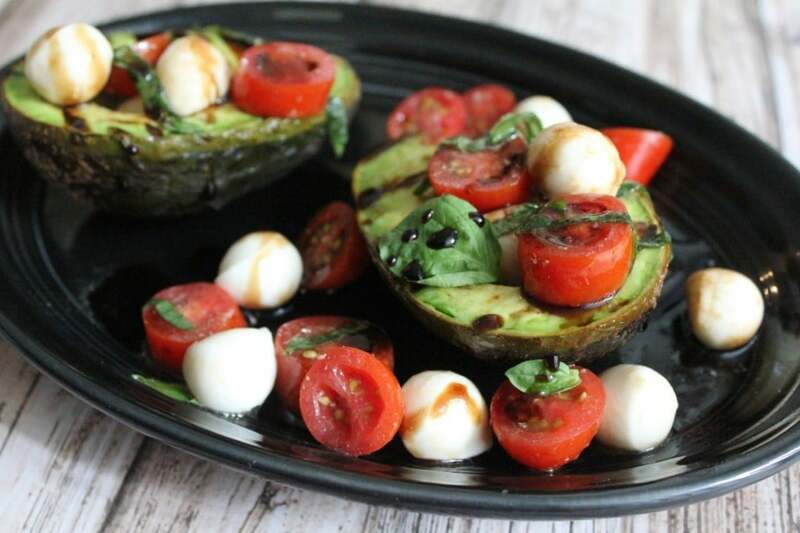 Drizzle with balsamic reduction. Note: You can find this at your local grocery store in the vinegar section. 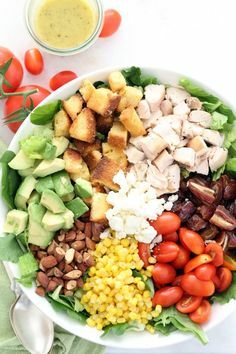 While you can make your own, the pre-made version is incredibly handy and easy to use – – it tends to be my go-to! 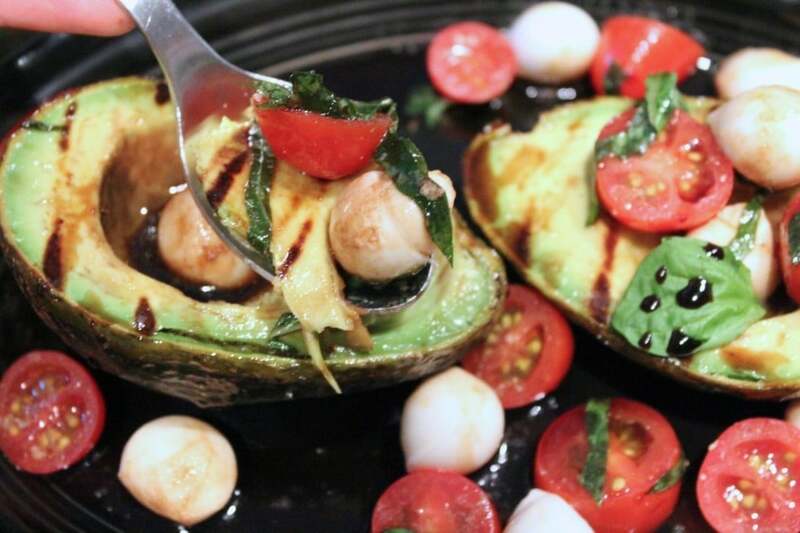 Have you ever tried a grilled avocado? ?